Pregnancy is a time in a mother’s life when she should be delighting in her upcoming birth; living in the clouds; eating to her heart’s content, and preparing for her baby’s delivery. But, for some it’s not just a time for celebrating a new arrival, but going through a significant breakup. Sadly, these 10 celebrities experienced this heartache first-hand because not even pregnancy could save their relationships. 1. 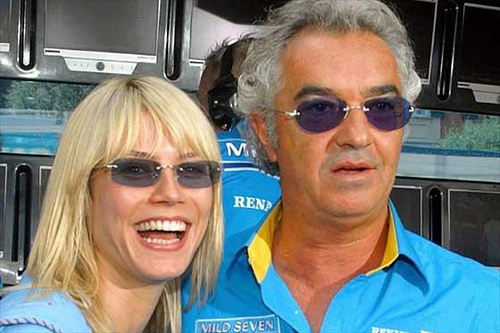 Heidi Klum – The German supermodel was expecting her oldest child, Leni, by former boyfriend, Flavio Briatore, when they broke up. While pregnant, she then met and fell in love with soul singer, Seal They later married and he adopted Klum’s daughter. The couple have since divorced. 2. Kylee Cochran – According to Cochran’s divorce documents she’s ending her marriage to former Burn Notice star, Seth Peterson because he’s in a relationship with a 23-year-old woman that he met on Twitter. The 39-year-old is due to give birth any day now to their third child. 3. Shar Jackson – Actress, Shar Jackson, was pregnant with her second baby by dancer and rapper, Kevin Federline, when he met Britney Spears. Federline left Jackson for the pop singer and they married in 2004, then divorced in 2006. Federline is now remarried to former volleyball player, Victoria Prince. RELATED: Kevin Federline Welcomes Baby #6! 4. Bridget Moynahan – The beautiful Blue Bloods actress and ex-boyfriend, NFL quarterback Tom Brady, broke up around the time Moynahan became pregnant with their son, John Edward Thomas. Brady is now married to supermodel Gisele Bündchen and they have two children together. 5. Mary Louise Parker – Parker and Watchmen actor, Billy Crudup ended their relationship in 2003 when the Weeds actress was seven months along in her pregnancy with their son, William. 6. 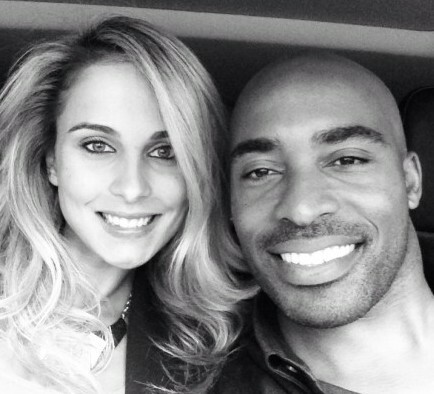 Tiki Barber – Controversial NFL star, Tiki Barber, left his wife, Ginny Cha, for NBC intern Traci Lynn Johnson, when Ginny was 8-months-pregnant with their twin daughters. Barber and Johnson are now married and have two children together. 7. Christina Milian – The singer/actress and former The Voice correspondent, was pregnant with her daughter when her ex-husband, singer-songwriter, The Dream filed for divorce, nine days before Milian gave birth. 9. Minnie Driver – The About a Boy actress made headlines in 2008 when she gave birth to her son, Henry, but did not reveal the father’s name. They broke up right before the baby’s birth and she wanted to protect his privacy at the time. Years later she revealed that Scotland producer, Timothy Jonathan Lea was the dad. 10. Denise Richards – In 2005, while pregnant with her second daughter, with husband Charlie Sheen, Richards filed for divorce. The couple briefly reconciled and sought marriage counseling, however, on January 4, 2006, Richards’ rep announced that she was continuing with the divorce, which was finalized in late 2006. 11. Elizabeth Hurley – Hurley had a brief relationship with businessman and film producer, Steve Bing that resulted in the actress’s pregnancy. At first, Bing denied paternity, until a test proved otherwise. Hurley gave birth to their son, Damian Charles Hurley, in 2002. 12. Kelly Rutherford – The Gossip Girl actress and, ex-husband, Daniel Giersch were expecting their second child when Rutherford filed for divorce in 2008. Sadly, the two became involved in a bitter child custody dispute, resulting in the children living with Giersch in France. 13. Melanie Brown – In 2006, former Spice Girl, Melanie Brown was pregnant with Eddie Murphy’s daughter, Angel Iris Murphy Brown, when the couple split. Initially, Murphy denied being the dad, but a subsequent paternity test proved the actor was, in fact, the father. Wow – I had forgotten about Heidi Klum. That seems like ages ago! So interesting!! Makes them seem so real! Thank you for sharing!! I can’t imagine how incredibly stressful it must have been!! The Spice Girl looks so incredibly different- she aged gracefully though! This list forgot actress Janine Turner (of Northern Exposure fame). She too had a child – a daughter alone. Broke up with the baby daddy while pregnant. There was story in people back in the 199o;s where the guy left this famous person for another women She had a stripped suit on and he had glasses on. Who was this thanks.